WASHINGTON — President Donald Trump acknowledged to advisors that he made up a fake injury to avoid military service, because “I wasn’t going to Vietnam,” his former lawyer told lawmakers during testimony on Wednesday. Michael Cohen, who also worked as a fixer for Trump before his election, said he was tasked with tamping down criticism of the military deferment as the presidential candidate simultaneously mocked Sen. John McCain, a former prisoner of war in Vietnam, for being regarded as a military hero. “I like people who weren’t captured," Trump said during a July 2015 interview. “Mr. Trump claimed (his medical deferment) was because of a bone spur, but when I asked for medical records, he gave me none and said there was no surgery,” Cohen told members of the House Oversight Committee. “He told me not to answer the specific questions by reporters but rather offer simply the fact that he received a medical deferment. A White House staffer allegedly said the Arizona Republican's views on a controversial nominee aren't important because "he’s dying anyway." Trump has downplayed his relationship with Cohen and claimed he is fabricating stories about their work together in order to negotiate a deal with federal prosecutors for a lesser sentence on a host of unrelated crimes. 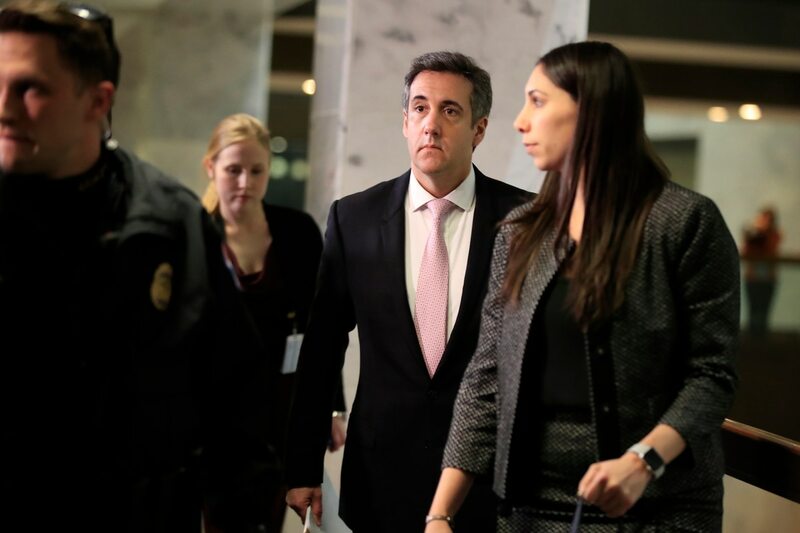 But Cohen said he worked closely with the New York businessman for nine years leading up to the 2016 election, and helped him cover up a host of embarrassing and potentially illegal activities. The lack of information surrounding Trump’s Vietnam war deferments has been a point of criticism since the campaign, but White House officials have dismissed those concerns as politically motivated. Trump received five deferments during the height of the Vietnam War. Four were for education. The fifth was the medical waiver, after his graduation. Committee chairman Elijah Cummings, D-Md., called Cohen’s allegations “disturbing” and said they will help inform the panel’s work to decide if the commander-in-chief committed potentially impeachable acts either before or after the election.